The Fantasy Premier League 2018/19 is at the starting point. Selecting the best Fantasy Premier League defenders for your daily fantasy team can be tricky, so here we recommend some of the best premier league defenders who has performed very well in the Premier League 2017/18. This will be useful for you when you are drafting your teams in this season 2018/19. What to know when picking the best Fantasy Premier League defenders? 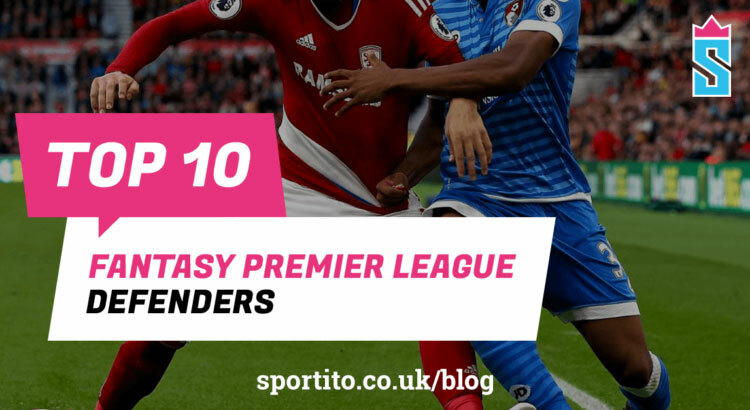 The daily fantasy football format on Sportito concentrates on goals and assists rather than tackles and clearances, so the first thing to focus on when choosing the best Premier League defenders is their contribution in attack. Of course, if the particular player is a part of a rock-solid defence and has a great goalkeeper who will keep clean sheets often, that’s even better. Still, look for the attack-minded best Premier League defenders and be sure they will collect a lot of points for your Fantasy Premier League team. On Sportito Fantasy Football one of the most important things is the clean sheet. So try to pick the best Premier league defenders from the best defence in Premier League. The big clubs have always the best defence in Premier League: Manchester United, Manchester City, Chelsea, Tottenham, Arsenal and Liverpool. Alonso bagged seven goals and added three assists from the left-back position last year, and he is a part of an excellent defence that doesn’t concede many goals. The Spaniard exploded in his first season at Stamford Bridge and became one of the top scoring Fantasy Premier League defenders, thanks to Antonio Conte’s tactics with wing-backs. Alonso received just two yellow cards in 33 games, and that is an upside as he will not cost you precious points due to lack of discipline. He has had another amazing season, scoring 7 goals in 33 appearances. Monreal has been Arsenal’s best defender the last season. They were a better defensive unit when he was in the side. He knows where the goal is as well, scoring five goals 2017/18 season in the Premier League. He will be a differential when he returns from injury. For sure one of the top Fantasy Premier League Defenders 2017/18. Otamendi has been a rock at the heart of the Man City defence last season. He’s one of the reasons why City were sitting comfortably at the top of the Premier League table. He’s been a real threat for City in attack last season, getting himself on the score sheet four times in 34 appearances on top of 10 clean sheets. ‘Dave’ as he’s known to the Chelsea fans is one of the most consistent defenders the Premier League has ever seen. He never seemed to have a bad game. Keep him in mind when selecting the best Fantasy Premier League defenders for your fantasy team and also the fact that Chelsea had the second-best defence in the League in 2016/17 season. In recent seasons, Valencia has been one of the best Fantasy Premier League defenders. It’s easy to forget he spent most of his career playing as a winger. It’s this previous experience on the wing which makes him such a good Fantasy Premier League player as he often contributes goals and assists. He’s also part of a rock solid Manchester United defence which is made up of David de Gea in nets, Phil Jones, Eric Bailly and Luke Shaw with new signing Nemanja Matic protecting them in front. United have recorded more clean sheets than any other team last season. Bellerin is one of the best fantasy premier league defenders because he loves to attack. He’s registered 2 goals as well as 2 assists in the Premier League in season 2017/18. He’s definitely a defender you should consider every week when drafting your Sportito XI. The English right wing back already has 5 assists and 10 clean sheets to his name last season in 21 league appearances for Manchester City. He’s a player, like Bellerin, who loves to attack. Man City are a much better side defensively last season than they have been in previous seasons so there is always the possibility of clean sheet points as well. Maguire is a man-mountain. He will play for one of the bigger clubs in the future for sure. He’s an excellent EPL defender who is a huge threat when he goes forward for set pieces. Leicester’s new manager Claude Puel is a defensively-minded coach which makes Maguire an even more attractive FPL option. He’s chipped in with 2 goals & 4 assists last season. Jones has arguably been Manchester United’s player of the season so far. United have kept 11 clean sheets in the 17 matches that Jones has featured. Let’s hope he can remain injury-free for the rest of the season. He’s a must-have when fit. Davies has been superb at left-wing back for Spurs last season, scoring 2 goals and providing 4 assists. He does share his position with Danny Rose which means he doesn’t play week in, week out, but when you see his name on the Spurs team sheet, he’s a superb pick for your fantasy football team. Selecting these best Premier League defenders when drafting your fantasy football team on Sportito will guarantee you points to beat your opponents. April Richest Contest with £1000 Guaranteed – Be part of It! On Sportito you can play fantasy sports contests when you want to win real cash prizes. Draft your own fantasy teams with top players from thousands of leagues and tournaments. Register for free and enter our available Fantasy Sports contest. Follow us on Facebook & Twitter for daily updates and amazing prizes!